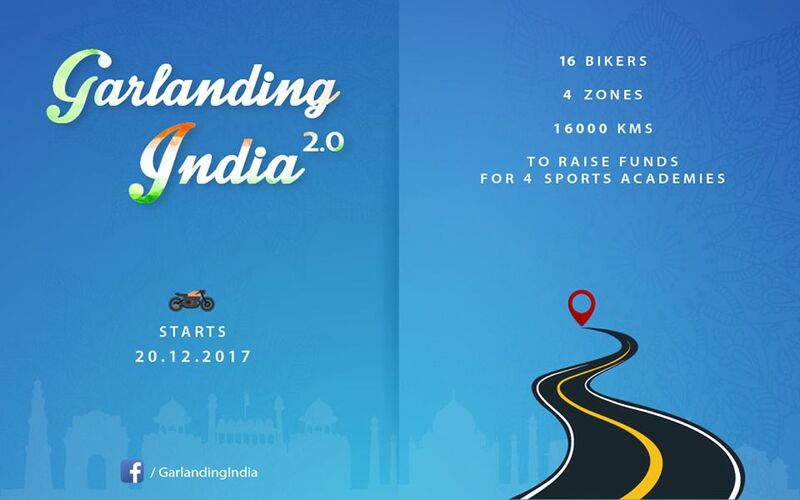 Garlanding India 2.0 is the second edition of Garlanding India. In the first edition of Garlanding India, Prof. Uday Damodaran, Finance Professor at XLRI Xavier School of Management, Jamshedpur had solo driven his Renault Duster car over 60 days and 16000 kms across India to raise funds for 22 beneficiary NGOs. The second segment, called the Eastern Essay, will see 5 riders (all from the graduating MBA batch of 2018 of XLRI) riding on 4 bikes across the North East, from March 8 to March 23. The riders will be officially flagged off from the IIM C campus in Kolkata on March 7th. They will again be hosted by volunteer hosts. They will be visiting the Mary Kom Regional Boxing Foundation, the boxing academy run by boxing great Mary Kom. The focus of Garlanding India 2.0 is on India’s children. For many of the kids from the underprivileged sections, good training in sports, along with good nutrition and decent school education offers the ray of hope to break out of their condition. But sadly for many Indian kids even this option is ruled out. India has a poor record on infant nutrition and health. 38% of Indian kids under the age of 5 are stunted and 21% of them are severely wasted; for these kids sports is never an option. Therefore 4 rides will be used to collectively raise a targeted Rs. 2 crores for 4 Sports Academies: Track Legend PT Usha’s Usha School of Athletics, Boxing Great Mary Kom’s Mary Kom Regional Boxing Foundation, Wrestling Champion Yogeshwar Dutt’s Wrestling Akhara and Olympic Gold Quest, the Foundation started by Indian Sporting Legends Geet Sethi and Prakash Padukone. The fifth beneficiary is Ekjut, an NGO doing great work in the area of infant and mother nutrition. We invite you to donate to the beneficiary of your choice, starting with as small an amount as Rs.500. And then be happy in the knowledge that you would have contributed to bringing on to the world stage a kid who might otherwise have languished away. The riders of the Eastern Essay will be riding from Kolkata to Siliguri, Guwahati, Imphal, Silchar, Shillong, Guwahati, Siliguri and back to Kolkata. You can track the live location of riders on this website. Come, contribute! Be a part of this exciting endeavour.